1. Kezia A Dugdale was born in Aberdeen in 1981. Her father, (a supporter of Scottish independence) is the former Elgin High School depute rector Jeff Dugdale, now retired. Her mother divorced, also a teacher, lives in Dundee, hence her interest in education. Dugdale resides in Edinburgh. a. She studied Law at the University of Aberdeen for a time but gave up and completed a Masters in Policy Studies at the University of Edinburgh. Dugdale then worked for Edinburgh University Students’ Association and the National Union of Students Scotland. Before entering the Scottish Parliament as a list MSP she was employed as a SpAd working for Lord Foulkes as his office manager and political adviser. Dugdale writes a weekly column every Monday in the Scottish Daily Record. b. She is a Scottish Labour and Co-operative Member and was elected to the Scottish Parliament i 2011, as Labour’s second candidate on their list for the Lothian Region. She currently sits on the Local Government and Regeneration and Subordinate Legislation Committees. She was appointed to the post of Scottish Labour’s Shadow Cabinet Secretary for Education and Lifelong Learning on 29 June 2013. In 2014 she was elected as Deputy Leader of the Scottish Labour Party, replacing Anas Sarwar, beating Katy Clark. As Jim Murphy, the leader, is a Westminster MP, this means that she is currently de facto leader of the opposition in the Scottish Parliament, e.g. at First Minister’s questions. 2. September 5 2008; The daughter of an SNP Councillor caught on video firing a Kalashnikov AK47 assault rifle in Pakistan has demanded Alex Salmond sack him. a. The Scottish Nationalists decided this week not to expel Jahangir Hanif for showing his children how to use the gun during the trip into the mountains near the Kashmir border in 2005. But his outraged daughter, Noor, has pleaded with Mr Salmond, the SNP leader and Scottish First Minister, to throw her father out of the party. b. When she was 14, she was taken with her brother and three sisters in a van with blacked-out windows to a training camp near the Afghan border and shown how to fire the assault rifle. The incident was filmed. Mr Hanif, a 46-year-old Glasgow businessman, apologized for incident, pointing out it happened long before he became a Councillor for the city. He said: “I am going through a messy and painful divorce. I’m saddened by the fact my children are being dragged into this situation. i. A letter by Noor Hanif (daughter of the suspended SNP Councillor Jahangir Hanif) raised a number of very serious allegations concerning Councillor Hanif’s conduct. This letter was removed from this site after Councillor Hanif’s solicitors intimated their intention to raise a summons in the Court of Session for interim interdict. The firm of Bannatyne, Kirkwood, France and Co., gave me 15 minutes to remove the letter. I complied with that request. e. Comment: The press may have been right headed in reporting the “Kalashnikov” bit of the story but wrong headed in ignoring the disturbing familial strife clearly stimulated by malcontent persons for some other purpose. Whilst Dugdale’s had the right to publish a summary of events her verbatim repetition of the unproven allegations did indeed constitute defamation. a. Well that’s the last time that Tory Bear (TB the Blogger) puts up a story and then goes out for the afternoon. How charming to return home to being called a liar by none other than Dugdale, personal assistant to the upstanding and honourable Lord George Foulkes. b. Torybear put a story up earlier that he spotted on the “Tweet4Labour” Twitter feed this morning. With a simple “Welcome! the Chief Whip @nickbrownmp” Tweet4Labour drew Torybear’s attention to the fact that Nick Brown was supposedly on Twitter. He then took a screen grab of Brown’s feed and the rest they say is history. So Nick Brown’s office have denied it’s him which is hardly a surprise yet there seems to be a bit of a discrepancy in Dugdale’s logic. Kez!!!! Torybear knows that working for Foulkes can hardly teach positive moral values and a respect for the law, but that is libel plain and simple and it needs to be retracted. d. Comment: Kezia acting first and thinking later. This trait will land her in big trouble one day. a. A Labour MSP who this week launched a high profile attack on the Scottish Government’s modern apprenticeship scheme been accused of misrepresentation after official figures showed a more than 100 per cent improvement on when her own party were in office. 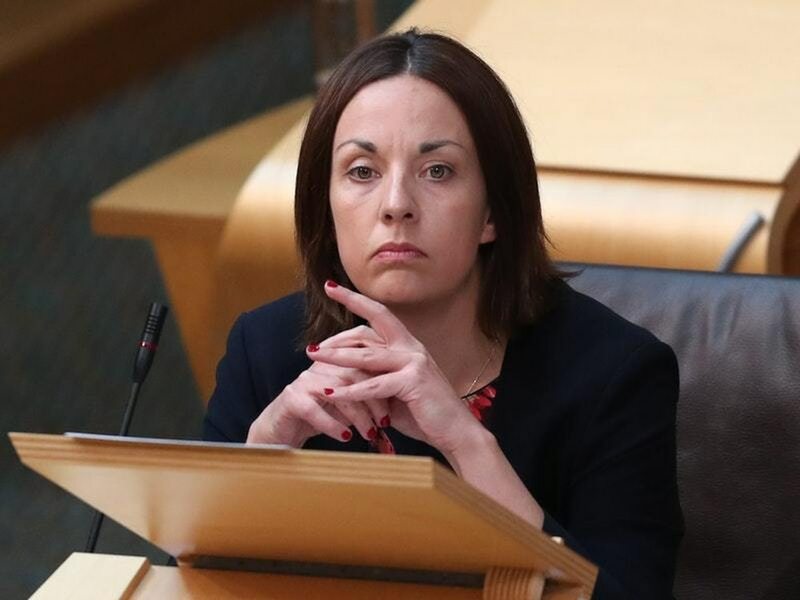 b. Labour’s Youth Employment spokesperson Kezia Dugdale had accused the SNP of “massaging” numbers after official figures showed that 39% of modern apprentices had been in employment for more than six months before beginning their training. c. In response the First Minister launched a withering attack on the Labour MSP and pointed out that there were now double the number of modern apprentices in Scotland than when Labour left office. “I have to say I have watched Kezia Dugdale over the last few days in what I think has been one of the most disreputable campaigns against the modern apprenticeship scheme.” he said. d. Alex Salmond went on to reveal that the system that Dugdale was criticizing was the same one that was in operation when her own party was in office and that the figures for those Scots aged 16 to 24 had dramatically improved. He added: “I have had a look at the figures” and pointed out that Labour had voted against the SNP’s modern apprenticeship policy of 10,000 places per year. “I have looked in particular at the very heart of Kezia Dugdale’s complaint, and that is of course if you look at the 16 to 24 year old who dominate the courses … the number who had been in employment for more than six months is 23 per cent. He ended his reply by angrily condemning what he described as Dugdale’s “affrontery” in attacking the current modern apprenticeship scheme. e. Commenting, SNP MSP Marco Biagi – a Member of the Scottish Parliament’s Education Committee accused the Labour MSP of having misrepresented the programme and said: “When you’re in a hole, stop digging. Labour clearly are not content with just voting against 25,000 modern apprenticeships, now Dugdale is intent on trying to misrepresent the Modern Apprenticeship programme itself. “Ms Dugdale accused the Scottish Government of ‘massaging’ the figures on Modern Apprentices – even though it runs the system in the same manner as when Labour were in power, and that under the SNP the number of apprenticeships has vastly increased. g. The Labour campaign has featured prominently on BBC Scotland with TV and Radio appearances for Dugdale. The story was featured on Sunday’s politics show with news bulletins throughout the day, it also featured prominently on BBC Radio Scotland on Monday and BBC Scotland’s online news. However, in Thursday’s BBC Scotland broadcast of First minister’s Questions the broadcaster cut away from the programme just as Mr Salmond was preparing to highlight the figures from 2006.
a. For a politician who cast her first vote just seven years ago, Dugdale’s swift journey to Labour’s frontbench has been nothing short of stellar. But she has nothing of the usual ruthless strut of rising stars. A coffee percolator bubbles vigorously in her cosy Holyrood office, stuffed full of cushions, cheery pictures and four hard-working aides. Her manner is easy-going and direct. Everything seems decidedly normal. Except she’s not normal. b. She was elected with the 2011 intake, aged 29. A few months later, despite campaigning vigorously for a rival candidate to Johann Lamont in her party’s leadership election, she was appointed youth employment minister. “Sometimes on a personal level, I worry about not having the space to grow and to maybe control,” she admits. “I know there’s a huge amount I need to learn.” When asked what she thinks of being tipped for Labour leader she says: “I think that would be incredibly arrogant at this stage,” going on to air caution about her unique position. “Meteoric rises are meteoric. It’s very fast and it’s very rapid and it doesn’t always have a positive ending – it bursts and it explodes.” Her maiden speech riveted the chamber. In it she made reference to the “deep-rooted” and “entrenched” child poverty she says Scotland is ravaged by. c. But she is aware of how high the bar has been set. “It’s a bar I don’t want to drop below,” she says. “I’m very aware of the pressure to maintain that. That’s energizing. But it also creates a degree of nervous energy as well – that sometimes goes beyond being helpful.” But if your political heroes are the ebullient Mo Mowlam and former chancellor Alastair Darling, the bar will always be sky high. However, during FMQs, Dugdale has proved to be a confident and articulate challenger of SNP policies on youth employment. d. It took a while for the politics of the Aberdeen-born Dugdale to form. But in 1999, the minimum wage was set at £3.60 an hour. That summer, Dugdale worked at a doughnut shop for just £2.75 an hour. She shudders at memories of all-white uniforms laced with pink. She says: “I could see how horrific it was to make a living from that wage.” Since becoming an MSP, she has been campaigning vociferously for parliamentary interns to be paid a living wage. Although a high-achieving head girl at Harris Academy, in Dundee, by her own admission struggled under the restrictive constraints of a law degree at the University of Aberdeen. It wasn’t until she moved to Edinburgh and undertook a masters in policy studies that she decided to join the Labour Party. Shortly after joining in 2003, she met Iain Gray who – along with his wife Gill – became her mentor. 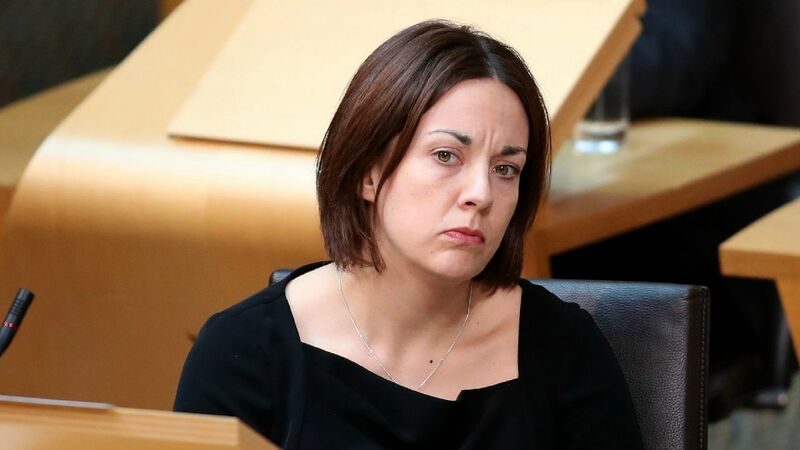 A hectic two years followed during which Dugdale completed her masters, held down a full-time job as a welfare adviser for Edinburgh University Students Association, and ran Sarah Boyack’s election campaign. From there she moved swiftly up the ranks of the Labour Party to become elected as a list candidate to the post of Lothian MSP in 2011. In December, Lamont asked her to join the front bench. And Dugdale has thrown herself into her new role. a. Kezia was pictured in the Mail an unflattering photo which made her look like a refugee from the former East Germany who had narrowly escaped the Stasi. She was upset that she had ‘recently’ been the recipient of an offensive tweet, although it turned out the tweet was sent over a year ago. The tweet wasn’t helpful to the independence cause and was crass and stupid, but it was not a direct threat. a. According to the latest research, one in six MSPs has no experience of working outside the bubble of politics and its ancillary tentacles: lobbying, public relations and research gigs. Notable bubble-dwellers include Labour’s Kezia Dugdale. Tipped by many to be a future bright light in a progressive Labour Party – an assessment that drips with irony and sarcasm in equal measure –Dugdale’s employment history hitherto revolved around student politics (working for Edinburgh University Students Association and the National Union of Students). b. Having witnessed at first-hand the buffoonery of student debates, Dugdale was doubtless the ideal candidate to be an assistant to the much-not-missed George Foulkes. The Baron of Cumnock’s interruptions at FMQs were legendary. On a school visit to parliament, my higher modern studies class gaped agog as Foulkes sang a ditty while the First Minister answered a question. a. In the surreal imaginings of BBC managers, Kezia is going to be a new, neutral and totally unbiased presenter during a referendum campaign. Wrap your head around that. Go on, I dare you. a. The safe bets are on the Labour Party going into the next election without the commitment to free university tuition that they carried into the last one. a. Dugdale’s website includes a statement on nuclear weapons. This fails to challenge the proposal to spend £100 billion on Trident replacement and her views are close to official UK Labour Party policy, which is to support Trident replacement. Dugdale believes that decisions made on the future of Trident should be based on evidence (including cost considerations) rather than on political party interest – and whilst she welcomes the reduction in the number of missiles and warheads that took place after the 2010 Strategic Defence and Security Review, she would like to see an end to nuclear weapons not just in Scotland, but globally. b. Removing nuclear weapons from Scotland would only cause them to be redeployed somewhere else in the UK or abroad, at doubtlessly considerable expense to the taxpayer. Instead, she supports reciprocal international agreements where nuclear and other mass destruction weapons are removed on a permanent basis. 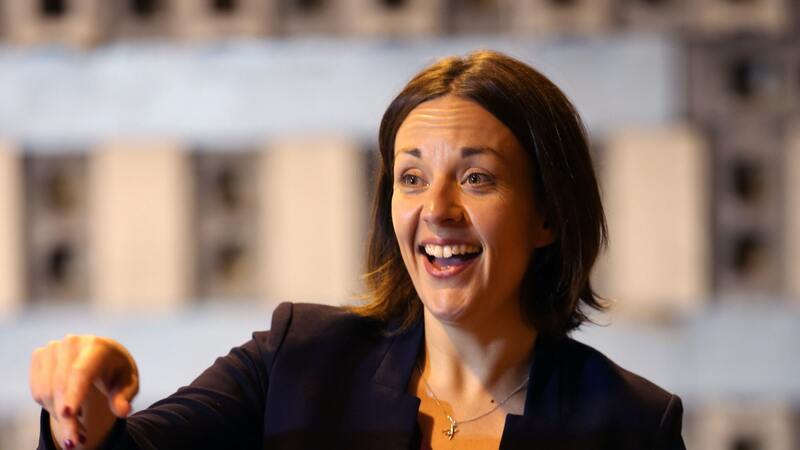 a. Labour MSP Kezia Dugdale today marked the historic nomination of Scotland’s first female First Minister with a Daily Record column in characteristically sour style, which waited until the second paragraph before sticking in a Margaret Thatcher comparison. It wasn’t until later that it got confusing. (Actually, that’s not quite true – the very first paragraph opened with the line “I haven’t seen a coronation quite like it since, well, the coronation”. c. Alert readers will of course have noticed the small problem with all of those: NONE of them are within the current competence of the Scottish Parliament. Holyrood has no power whatsoever to force energy firms to freeze bills, tax bankers’ bonuses or change the top rate of tax. All are reserved to Westminster. It took Labour almost all of their 13 years in power to raise the top rate of income tax to 50p – the rate wasn’t introduced until just before the 2010 election and was in force for only a few weeks of Labour’s administration – so hectoring Sturgeon to get it done on her first day would seem a touch impatient anyway. d. Only one of the three powers even has a chance of being devolved to Holyrood in the foreseeable future, so we’re a bit bemused as to what Dugdale expects Nicola Sturgeon to do about them. In other words, Dugdale is proudly trumpeting the fact that it’s Labour which prevented Nicola Sturgeon from having the power to do the very things Dugdale is now stridently demanding that she does. 13. December 19 2014; The Oil Price Fluctuates, Who Knew? – Not Dugdale! 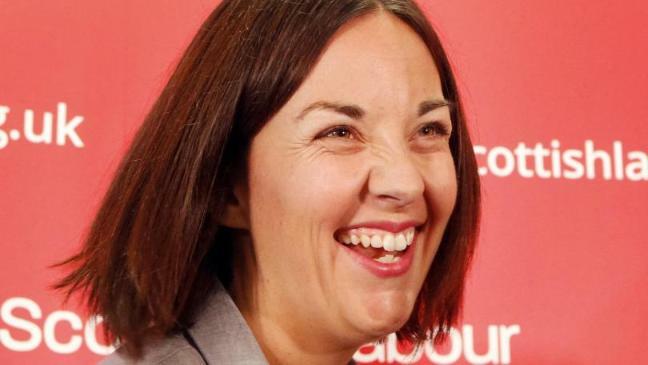 a. Dugdale is economically illiterate, and she is attempting to spout misinformation to the electorate. She is just carrying on in the same theme that lying Labour have constantly adopted. Pick a subject, any subject, look for fault, and blame the SNP Government. It matters not whether it is a devolved matter or not. Labour believe the Scottish public are too stupid to notice. Well, there are at least 1,650,000 of us who no longer are. Labour are devoid of talent and have no future here. Dugdale and Murphy least of all. b. How much more ill-judged would this be if you had spent two years telling the people of Scotlandshire that they were too useless to manage their own oil resources – an asset which could only be protected by the ‘broad shoulders’ of Westminster? The very Westminster government whose £30 billion tax grab had just caused the very uncertainty which has led investors to take a short term view of the North Sea. And what new depth of hypocrisy would be plumbed by insisting the SNP take responsibility for North Sea job losses, while desperately seeking to keep the necessary powers as far from Holyrood as possible? a. The BBC wishes to apologize unreservedly to Labour in Scotlandshire’s Deputy Dawdale for screening her inaugural questions in last Thursday’s FMQ’s. In the coverage broadcast live by this channel, Deputy Dawgdale appeared to blame the Scottish Government for the recent fall in oil prices and the predicted reductions in both production and investment which is widely predicted to follow. Further, she seemed to claim that the drop in oil prices was somehow a direct result of the projections published by the Scottish Government prior to the Referendum. Naturally, this would be a preposterous position to take, particularly on your first ever attempt at First Minister’s Questions. What a disaster for the no campaign trying to manipulate figures to make Scotland look skint!!! We are told we are too wee and too stupid by people claiming to be Scottish on a regular basis by the no campaign. Now they have been caught out big time with lies. Trying to deceive the Scottish public is disgusting. If a large number of Scottish female voters see this they will be furious. And by the way, no foreign oil company owns rigs in Scotland. They pay for a licence to drill. The UK government control north sea oil licenses. 20 January 2015: Dundee education boss rejected claims by Scottish Labour’s deputy leader that she was snubbed from visiting her old school because “SNP councillors haven’t been yet”. Former Harris Academy head girl Dugdale said a planned visit to the school, which is being rebuilt, was cancelled on Monday and she claimed the decision was “overtly political and completely unnecessary”. But education convener Stewart Hunter said it was “only fair” the school’s ward’s elected representatives, which include a Labour councillor and local Labour MP, get to see the site first on a planned visit on Friday. Locals commented: What a little Liar and Diva. Dugdale heard what she wanted to hear, rather than what was said. A not uncommon problem with her and her labour Party colleagues. Explain why a Labour politician, who is a not locally elected official, should expect preferential treatment in what is not her capacity? Why couldn’t she just ask to accompany the others on Friday? Because Murphy told her; ‘Hey Kez, perfect opporchancity to stir it up, go on hen, get intae them. What, Jim McGovern, nah don’t worry about his feelings, he’s out on his a88e soon anyway’ Hence the ‘big story’.. Will be interesting to see what the other political heavyweights like the Courier?!! say about this non event. It appears it is Dugdale who is turning a perfectly reasonable suggestion into an anti SNP rant. She wasn’t barred from the site and actually invited along on the day everyone else is going. It seems it is her ego that has been pricked and she’s throwing a tantrum at having lost a personal photo opportunity. What constituency does she represent? If its not important who is there first, why is Dugdale so het up about it? I think she needs to get over herself. Until Dugdale went public, who had heard of this ‘snub’? It should not be a competition but it would indeed appear that it is. Dugdale who is turning it into one and with her own party as well. As Mr Hunter pointed out the proposed visiting party included a local Labour councillor and Mr McGovern, the only Labour MP in Dundee. I think it only fair that McGovern gets first dibs while he still retains his Westminster seat. It’s ok for Dugdale, she has until next year before she has to worry about her position. Big hoohah over nothing but I have not seen so high profile coverage of her boss visiting Dundee yesterday. Both cut from the same cloth sadly. It also begs the question, has Dugdale nothing better to worry about, like getting ready to read up on what Jim tells her to have a go on at FMQ’s? Odd she didn’t know that there are Labour councillors in situ. Hadn’t done her homework! Those who work in a constituency getting to see the results of the decisions they made ahead of some outside visitor for a photo in a press release? Seems fair. If I were anything to do with Harris academy I’d not want her associated with them in any way, What a shocking indictment on Scottish education she is. Just for the record, have checked other periodicals for any mention of the perceived ‘snub’ to the Deputy branch manager, so it would appear that it suits the Courier to bring this up as it suits their anti SNP stance. Also, nothing mentioned anywhere I can see about the Branch manager visiting Dundee yesterday with the ‘shallow cabinet’. Consequently not sure if Dugdale was there or not. If so she could have nicked up for a wee sneaky peek. It’s the Scottish Labour way usually. Dugdale went wrong having a teacher for a parent. If I could give one piece of advice to the youth of tomorrow it would be this – never have a teacher for a parent. Her papa is Jeff Dugdale, retired English teacher and former depute rector of Elgin High. He’s also a keen philatelist, even keener SNP supporter and now has several thousand new Twitter followers after showing his daughter the sharp side of his keyboard. 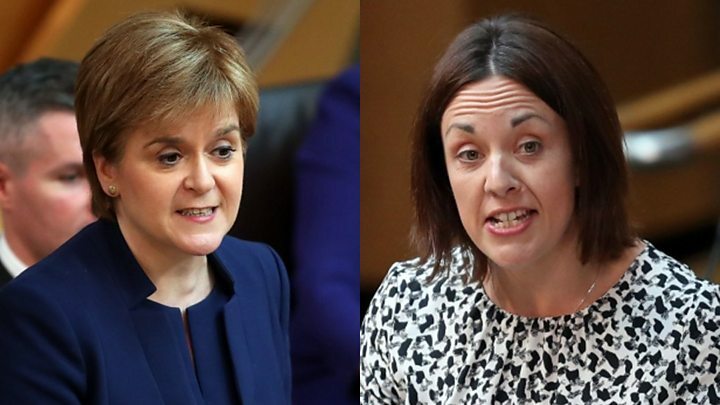 Dugdale tweeted a link to a news article in a right wing unionist paper (close to her heart) which stated that Nicola Sturgeon preferred a Tory Party election win in England. The source, an alleged leaked Scottish Office memo proved to be abject nonsense. Utter tripe.!!! Her father responded to her tweet with the teacher parent’s typical staccato sting and utter lack of reticence about humiliating his child in public. Even though she is the adult deputy leader of a political party.